Henry Roeland Byrd, also known as Professor Longhair, was a New Orleans rhythm& blues pianist whose career started in the late 1940s and who came to personify the city's cultural renaissance of the 1970s. Longhair’s first public performances were as a tap dancer for tips on the streets of New Orleans, and it could be said that a similarly loose-limbed style imbued his piano playing. He played drums, and then guitar briefly, but settled on piano, partially taught by the noted New Orleans player Isidore “Tuts” Washington. 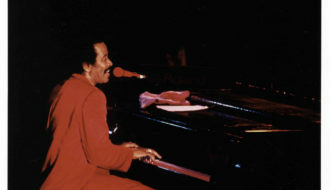 Pianists such as Kid Stormy Weather and Archibald (Leon T. Gross) also influenced Longhair as he hung out, and sometimes played, at the clubs along South Rampart Street. At some point in the late 1940s he acquired his memorable moniker. Since the advent of jazz, many New Orleans keyboardists were known as “piano professors.” The “Longhair” part was supposedly bestowed upon him by the owner of the Caledonia Club, in New Orleans’s Tremé district because, as Byrd succinctly explained, “we had long hair.” Longhair often gave his band somewhat whimsical names, including The Shuffling Hungarians and later, The Blues Scholars. These recordings greatly influenced the next generation of New Orleans R&B pianists, such as Allen Toussaint, Dr. John, Art Neville, and Huey “Piano” Smith, for whom Longhair was a hero. As Dr. John stated in his autobiography, Under A Hoodoo Moon, Professor Longhair was the guardian angel of the roots of New Orleans music. 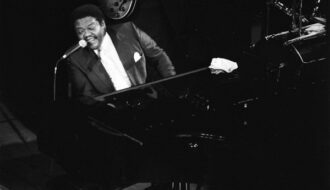 He was a one-of-a-kind musician and man, and he defined a certain style of rhumba-boogie funk that was New Orleans R&B from the late 1940s all the way through to his death in 1980. All New Orleans pianists today owe Fess. He was the guru, godfather, and spiritual root doctor of all that came after him. Despite such respect and affection, Professor Longhair’s records brought him little money, and he kept performing on a low-level regional circuit. By the 1960s, he mainly supported himself as a card-playing gambler, and many people on the New Orleans music scene thought that Professor Longhair had either left town or died. Then in 1970 a coterie of young music enthusiasts, including Quint Davis, a cofounder of the New Orleans Jazz & Heritage Festival, found Longhair working as the janitor in a record shop. He was in poor health and low spirits, but his musical skills remained strong. 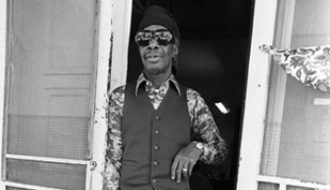 Davis booked Professor Longhair on the 1971 New Orleans Jazz & Heritage Festival and also became his manager for the next five years. Longhair recorded again and performed in Europe for the first time, while also playing a bigger and better circuit in the United States. Meanwhile, New Orleans was being swept by a wave of pride in its local traditions. In this climate of awareness, older and often overlooked musicians became venerated, many receiving recognition for the first time. The year 1977 saw the founding of the nightclub Tipitina’s, named for a Professor Longhair song, which became the epicenter of this resurgence. Professor Longhair played there frequently; since his passing, a bust of him stands just inside the entrance. 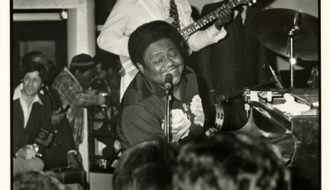 In 1979, Longhair signed with the Chicago-based Alligator Records to record his first full album, Crawfish Fiesta. (His sessions to date had resulted in only a few songs at a time, sporadically released as singles.) Sadly, Longhair died on January 30, 1980, just one day before the album was released. His posthumous accolades include a Grammy award in 1987 for a reissue album, and induction into the Rock and Roll Hall of Fame in 1992. 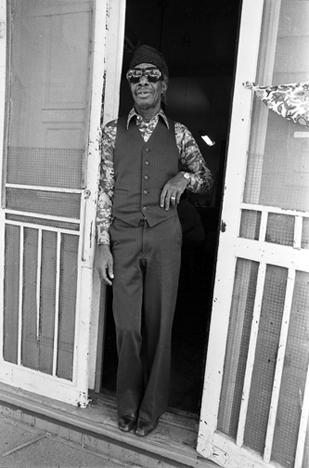 Professor Longhair remains one of New Orleans’s most important cultural icons. Sandmel, Ben "Professor Longhair." In https://64parishes.org Encyclopedia of Louisiana, edited by David Johnson. Louisiana Endowment for the Humanities, 2010–. 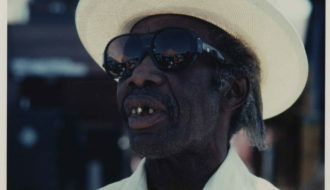 Article published March 27, 2013. https://64parishes.org/entry/professor-longhair. Berry, Jason, Jonathan Foose, and Tad Jones. Up From The Cradle of Jazz: New Orleans Rhythm & Blues Since World War II. New edition. Lafayette: University of Louisiana at Lafayette, 2009. Broven, John. Rhythm & Blues In New Orleans. Greta, LA: Pelican Publishing Company, 1988. Hannusch, Jeff. I Hear You Knockin: The Sound of New Orleans Rhythm & Blues. Ville Platte, LA: Swallow Publications, Inc., 1985.